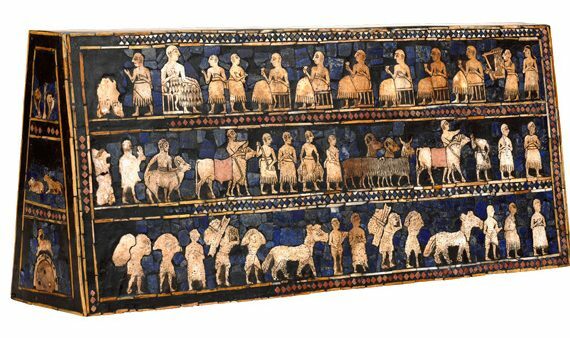 The region of southern Mesopotamia is known as Sumer, and it is in Sumer that we find some of the oldest known cities, including Ur and Uruk. At the center of Ur, a rubbish dump grew over the centuries—it evolved into a cemetery for the elite. Intentionally buried as part of an elaborate ritual, this ornate object tells us so much, but also too little. 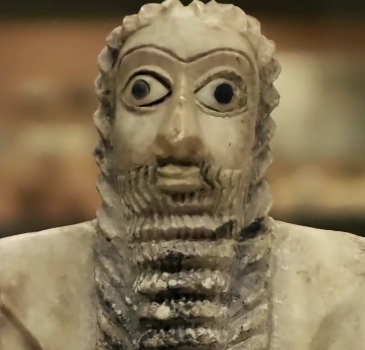 One of a group buried in a temple almost 5,000 years ago, this statue’s job was to worship Abu—forever. 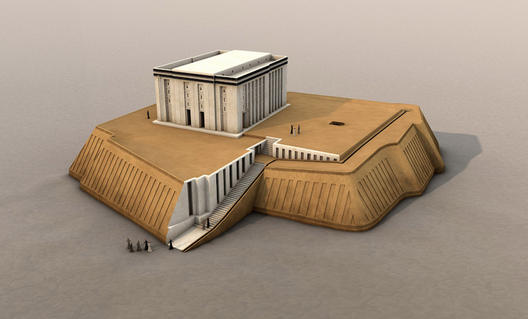 A gleaming temple built atop a mud-brick platform, it towered above the flat plain of Uruk. 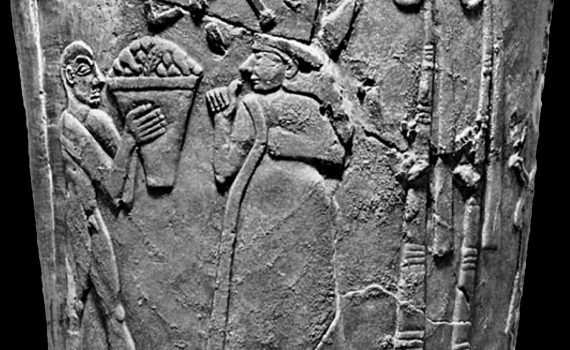 More than 4,000 years ago, Ur-Nanshe, the chief priest and king, displayed his piety and power by building a temple. Instead of signatures, the Ancient Near East used carved beads to press unique impressions into clay documents.